What type of sanitation practices do you use for waxing? Glow Med Spa puts the health of our clients first and tries to create a small environmental footprint. Our trained Estheticians wear medical gloves and use each end of the stick for a single dip into the hot wax. This ensures no bacteria from clients ever goes back into the hot wax pot, plus we use less trees to help our clients feel fresh and smooth. No double dipping and no waste! For bikini area waxes, we also offer each client a disposable thong and individually wrapped sanitary wipe to use before we begin our waxing session. How long does my hair need to be before a Brazilian wax? We must have two weeks of hair growth (at least) to ensure an efficient wax. Waxing every four weeks is perfect! You have three different hair cycles, and once you start getting regularly waxed they will start growing on the same cycle. Meaning that your wax will last longer and the hair that does grow back in is scarce. Also, we want to make sure your roots don’t have enough time to get nourishment and become big again (ouch! ), so sticking to the four-week schedule will help prevent that and keep your Glow Med Spa waxing painless. The first time is always the hardest due to your roots being full nourished and big. But because we use special hard wax that doesn’t adhere to the skin, our waxes are designed to cause you as little pain as possible. For those worried about the discomfort, swing by the day before your waxing appointment and purchase our Relax and Wax No Scream Cream. Apply it 30-45 minutes before your appointment and make our painless waxing even less of a big deal. Can I go workout afterwards? It’s not recommended, as the area can be tender and you will want to avoid any additional irritation for a bit. If you are an avid runner and just beginning to wax, you can apply a thin layer of Vaseline to minimize irritation. Your skin will get used to the abrasive fabric pretty quickly… don’t worry. What’s the difference between the Basic, Sensual and Bare Brazilian waxes? *Note: With all these waxes we will ask you to flip over, so the hair between your bum cheeks can be removed, as well. 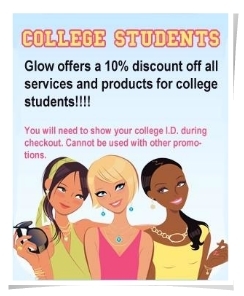 Can I use the tanning bed before/ afterward? It’s recommend that you skip tanning the day you are waxed. The tanning bed tends to make your skin more sensitive before the wax and can cause irritation afterward. But you can always skip the tanning bed and save your skin by rocking the best fake tan around. 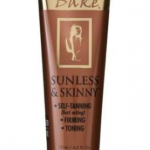 Check out Fake Bake. Can I put lotion on my body before getting waxed? No. Please refrain from using any lotions on the skin prior to coming in for your wax. Lotion changes the consistency of our wax on your skin and makes it a bit harder for us to remove all the hairs. Can I still get my wax, if I am on my period? Of course! Make sure you have your tampon in, and you’re good to go! What should I do for ingrown hairs? 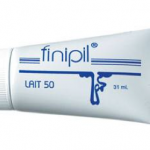 After you wax, we recommend using Finipil to keep the hairs from getting caught under the skin. It is anti-bacterial-antimicrobial lotion that helps prevent ingrown hairs, slow down hair future hair growth & shrink pore size. My hair grows fast, can I come sooner than four weeks? It’s not recommended. In order for our wax to truly be as painless as possible, the length of your hair is very important. What looks like a lot to you, may not be enough for us to remove everything with the wax.